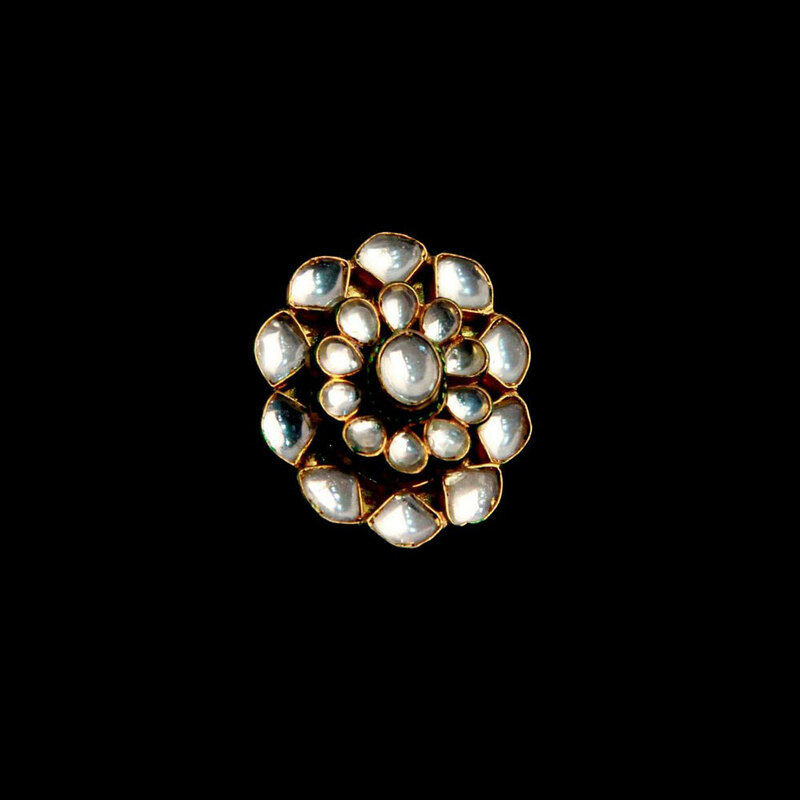 This finely styled kundan ring options a floral design crafted on a base metal of gold plated brass and adorned with white kundan stones of various shapes and sizes during a circular flower pattern. 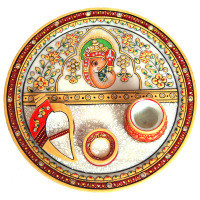 This exquisitely designed kundan ring features a floral design crafted on a base metal of gold plated brass and adorned with white kundan stones of Read More..different shapes and sizes in a circular flower pattern. The ring is available in an adjustable size making it easy to use for any woman. Show Less..